Back when I first started working coffee I worked a couple of streets over from a shop that was managed by Nathan hann. Nathan and I spent a few years in the Providence coffee community working together; attending events, competing in latte art competitions against each other and becoming close friends. 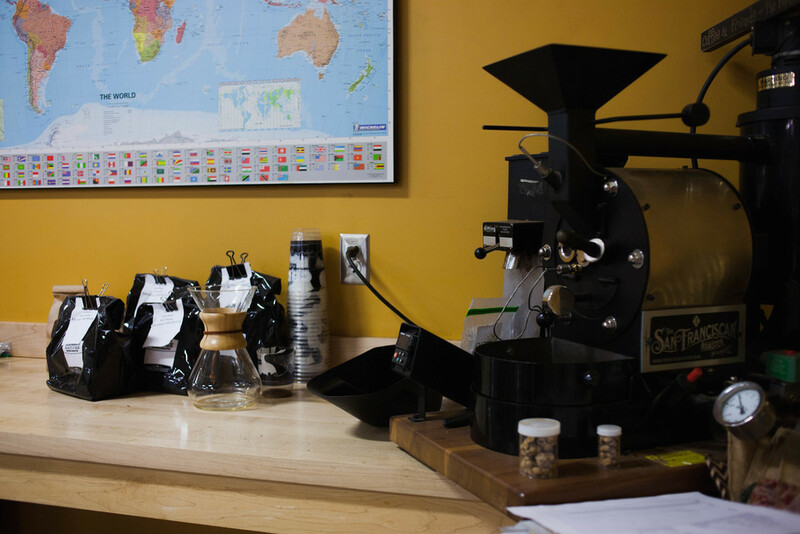 Recently he's relocated Portland, Maine where he's taken the role of Director of Training for Coffee by design. Nathan invited me over to the roastery this afternoon for a behind-the-scenes tour of their roastery. Coffee by design has been around for quite some time. They recently celebrated their 21st anniversary and 2 years ago open a 50,000 square foot facility which houses two Loring Roasters, green beans storage, Training Center, Tech Lab, and full-service Cafe. Coffee by design roasts about 2,000 pounds per day and supplies cafes and restaurants through out Maine, New England and the United States.Even with the larger volume in Fairly large staff from the design is still owned and managed by the two Founders Allan Spear and Mary Allen Lindemann. I had the privilege of meeting Mary today, we talked about how we have very close mutual friends through coffee, a little bit about about how they founded their business, and I chatted with Nathan about how he plans to re immagine their training program in the near future. Delivered weekly in your inbox.